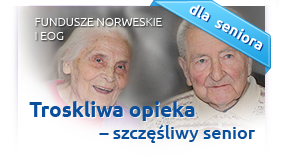 On 8th November 2014, as part of the project "Improvement of health care of the elderly, dependent and chronically ill people from Żary and Lubsk and the rest of the southern area of the Lubuskie province" the medical staff of Szpital Na Wyspie started trainings in the scope of care of the elderly, dependent and chronically ill people. Modern techniques of treating bedsores. The lectures are conducted by qualified medical staff, having experience in the field of geriatric and long-term care.